Atelefugne is located in Kera, Bulgaria Area exactly across from Dashen Bank. 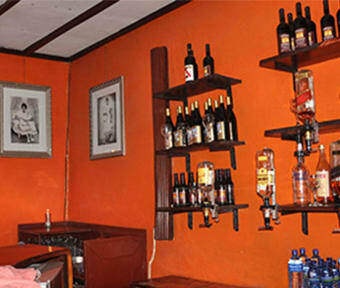 It has a fair sized bar, a traditional restaurant, a terrace and 25 rooms. It's location is industrial but a walking distance from the African Union Headquarters. Also, within walking distance is Sishu Burger, Embwa ice-cream parlor, Efoy Pizza and Tomocca sarbet location. It's also 15 minutes drive from the airport, 7 kms to be exact. Numerous banks, mosques, churches and a major local open market are all within the vicinity. For further travels, taxi stations are across the street or minibuses can be hailed from the doorstep. 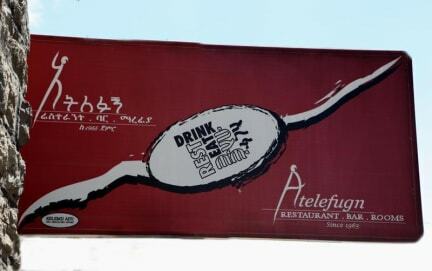 Atelefugne is known for its mouth-watering traditional meals and it's consistency. It is very popular among local businesses during breakfast and lunch hours. It is a desirable hangout for the nearby households as well. Atelefugne is managed by Ms. Shitaye H. Gebeyehu, the only surviving child of the original owner Mrs. Yiftusera Tamene. Ms. Shitaye holds a Bachelor of Science Degree in Applied Computer Science from Illinois State University, USA.